There are lots of different types of Hawkweed. 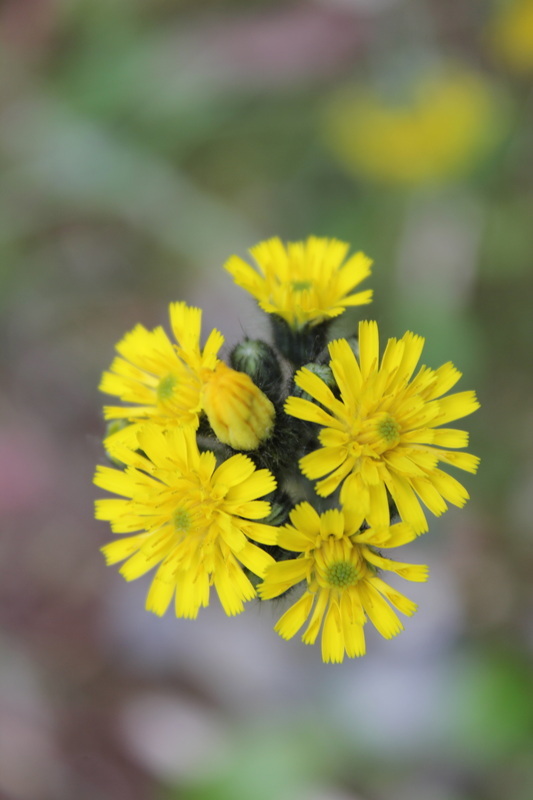 Field Hawkweed has four or more yellow, 1/2 to 3/4 inch flower heads on each stem. The stem and leaves are very hairy. It is very common and blooms from spring to fall. The latin name for this plant is Hieracium pratense. Hieracium means hawkweed. According to Reader's Digest's Magic and Medicine of Plants, the ancients named this plant Hawkweed because they fancied hawks would tear open the plant to wet their eyes with its juices to improve their vision for hunting.